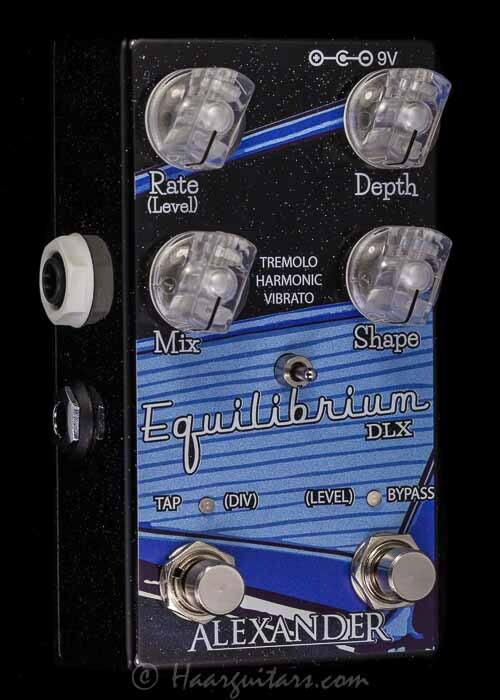 The Equilibrium DLX is our updated vintage modulation pedal – evoking the buttery, sputtery, wobbly sounds of yesteryear, While the Equilibrium DLX sounds completely vintage, it crams all the “mod cons” into a pedalboard-friendly package. Tap Tempo / Division – tap twice to set the modulation rate. The LED above the Tap switch flashes to indicate the current rate and division. Hold to toggle between normal-speed (green) and double-speed (red) settings. Remote Tap Tempo Jack – connect a normally-open momentary footswitch to this jack to set the modulation time remotely. Hold down the remote footswitch to change tap divisions. Mode Toggle: Tremolo — Traditional tremolo based on the bias circuits from the earliest tube amps. 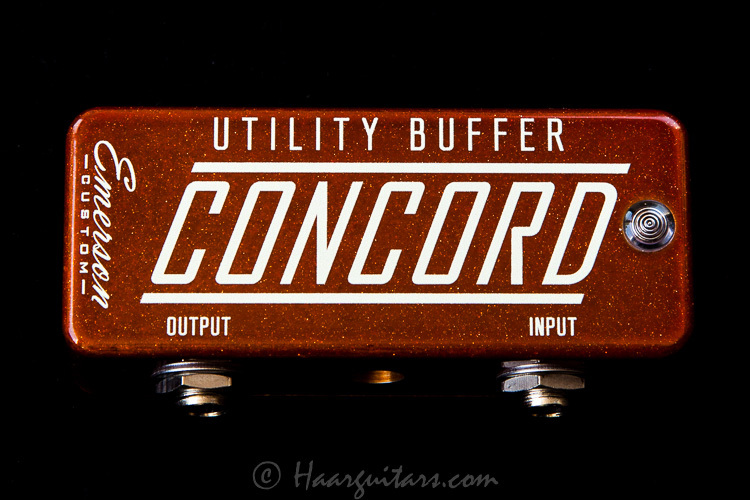 Use the Shape control to morph from a very soft and smooth tremolo to a much harder burp-burp modulation. 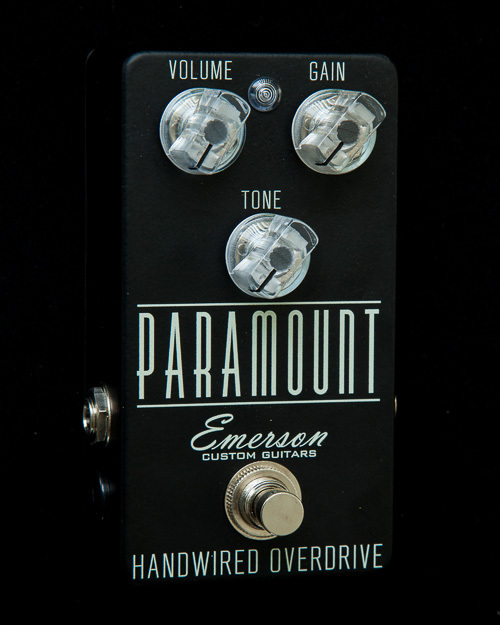 Harmonic — Based on the vibrato circuits from the early ‘60s piggyback amplifiers. Blend in the dry signal for a queasy, seasick effect. Vibrato — True '50s style frequency vibrato, just like Buddy Holly. 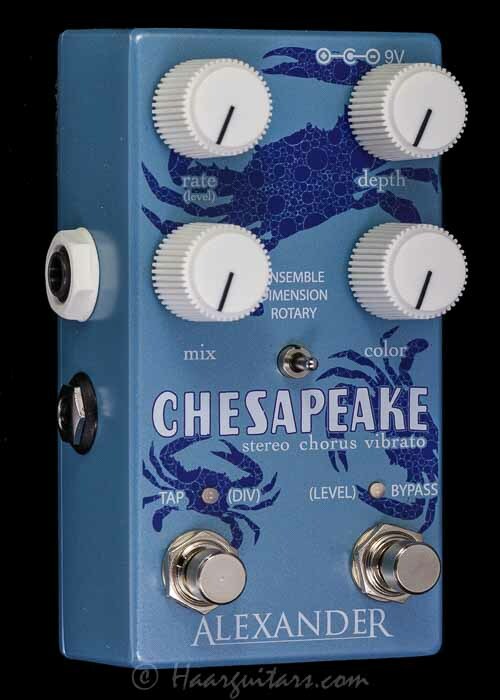 Try it with a fast speed and 100% wet mix for the widest vibrato effect. Mixing in some dry signal makes the vibrato sound more like a phaser or photocell vibe unit. 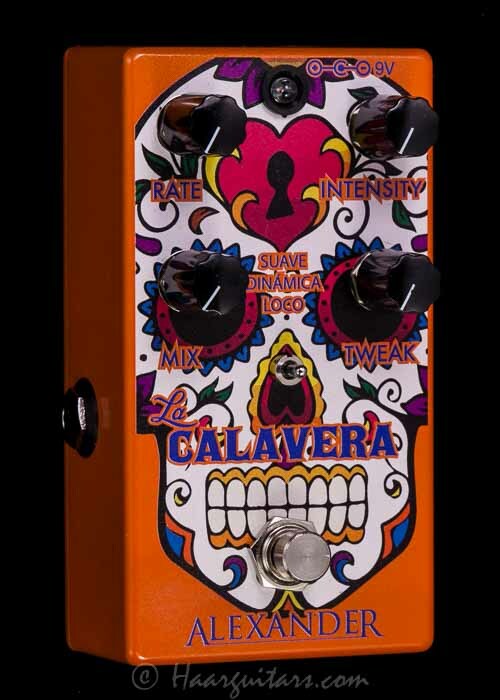 Bypass Switching: The Equilibrium DLX features buffered bypass switching with a soft-touch footswitch.